This past Saturday the SO and I took a trip to Indy with the bunny. We're trying to habituate Kyle to longish drives because we'll be going on a long trip at the end of the month. Last year he (Kyle bunny) didn't care for the long drive and didn't eat for most of the 17hrs we spent driving. As some of you bunny people know, buns need to constantly eat, so this was concerning. So to hopefully circumvent bunny drama we are attempting to habituate Kyle to car rides and thus now you know our past couple of weekend adventures. 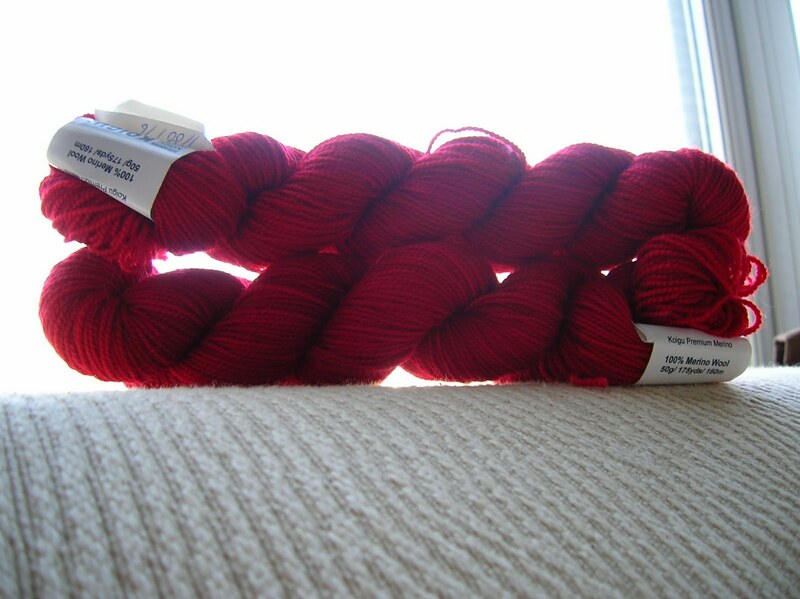 This weekend, however, we went to Indy and made a stop at Knit Stop. Although not my LYS, a nice LYS that I frequently patron. I wanted to stop by so I could purchase yarn for a Holiday gift for Heather (my bro's SO) and for Ash (the BF). I'm thinking about making an Infinity Scarf (or as Oprah calls them, Snoods) for each of them. 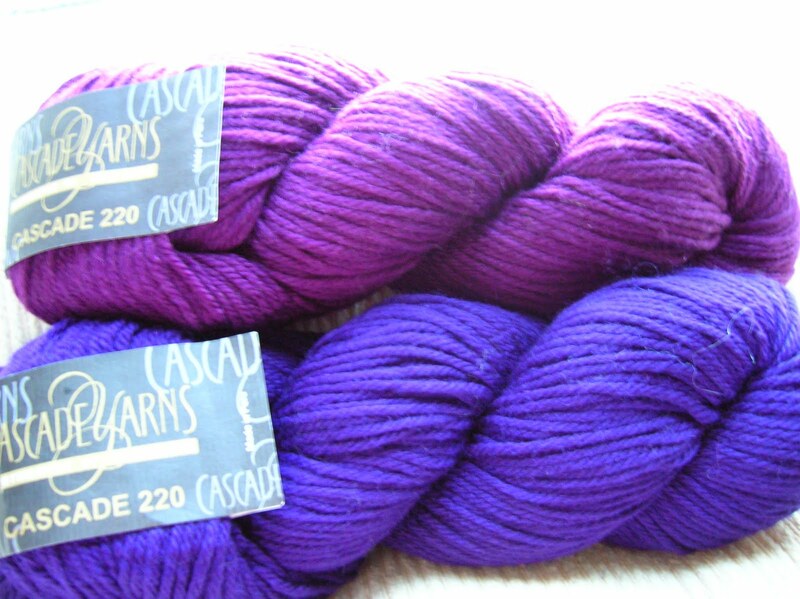 I found some nice Cascade 220 for Ash in two shades of purple. 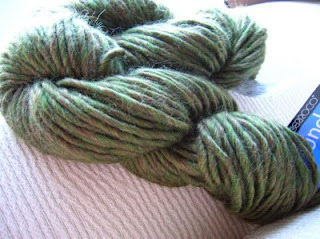 And for Heather I found a green (her fav color) skein of Berroco Sundae and picked up a couple of skeins in this lovely colorway called Rocket. Again I am thinking of making both of them Infinity scarves. Not too bad in price and I think these will look nice on both ladies. However, imagine my surprise at the register when I found out EVERYTHING in the store was 25% off for the day!! Those skeins of yarn are even MORE lovely! I purchased my yarn and I left. Yes I left. The SO and I went down the road to the mall to grab something from The Body Shop and the whole time my head was spinning. Malabrigo - Malabrigo - Malabrigo. For real, I think there was a voice somewhere chanting Malabrigo because the SO heard it too (it might have been a spirit mimicking my voice, I'm not quite sure). The ever sweet SO offered to drive back to Knit Stop so the little voice could be appeased. 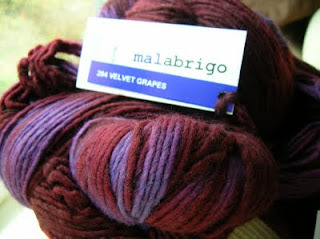 And boy was that little voice was pleased with the results (multiple sweaters may now be made!). Wow! You went crazy at the LYS. 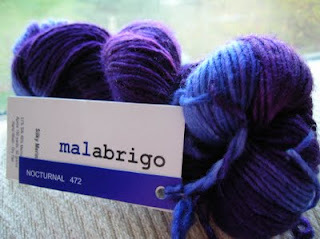 Love the yarns and colors! I've never driven long distance with a bunny. It sounds like an adventure. Not like you can sedate them and go, huh?